Israel’s military says it has started striking Hamas targets in the Gaza Strip after a rocket hit a house in central Israel earlier in the day, wounding seven people. The barrage began as Israeli Prime Minister Benjamin Netanyahu met with President Donald Trump at the White House. 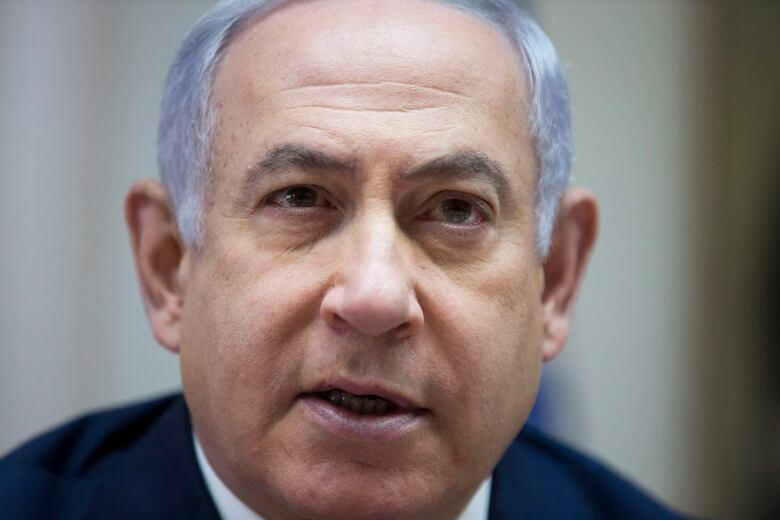 “We will do whatever we must do, to defend our people and to defend our state,” said Netanyahu, calling it miraculous that no one was killed in the rocket attack. Netanyahu said he would cut short the high-profile visit to Washington after the attack, which prompted the military to deploy troops along Israel’s southern border. Netanyahu promised a tough response, while Gaza’s Hamas leaders went into hiding, setting the stage for a possible major conflagration just two weeks before Israeli elections. Trump stressed Israel’s right to “defend itself” as the U.S. recognized in an official proclamation Israel’s sovereignty over the Golan Heights. 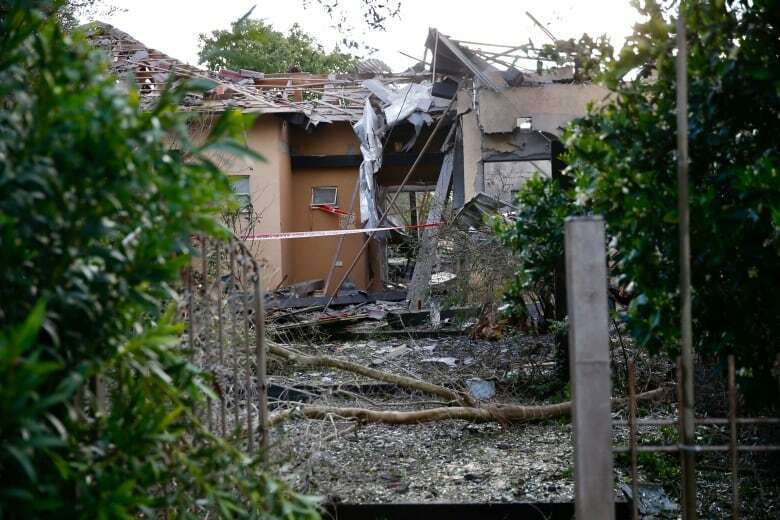 The rocket attack destroyed a residential home in the community of Mishmeret, north of the city of Kfar Saba, wounding six members of the family. The Magen David Adom rescue service said it treated seven people overall, including two women who were moderately wounded. The others, including two children and an infant, had minor wounds. The sounds of air raid sirens jolted residents of the Sharon area, northeast of Tel Aviv, from their sleep shortly after 5 a.m. local time, sending them scurrying to bomb shelters. A strong sound of an explosion followed. The Israeli military said it identified the rocket fired from the Gaza Strip. Maj. Mika Lifshitz, a military spokesperson, said it was a self-manufactured rocket with a range of 120 kilometres, making it one of the deepest rocket strikes ever carried out by Hamas. Lifshitz added that two armour and infantry brigades were being mobilized to the Gaza front and that a limited drafting of reserves was also taking place. The UN’s Mideast envoy condemned the attack in a statement. Efforts by Egypt and the UN to restore a ceasefire between Israel and Gaza’s Hamas rulers have halted bouts of cross-border violence in the past. Anticipating a strong Israeli response, Gaza’s Hamas leaders have apparently gone underground. Witnesses reported seeing Hamas evacuating its personnel from government premises. Hamas also announced that its Gaza chief, Yehiya Sinwar, had cancelled a scheduled public speech. Israel also shut down its main cargo crossing into Gaza. There was no immediate claim of responsibility for Monday’s attack, but Gaza is controlled by Hamas, an Islamic militant Palestinian group that seeks Israel’s destruction and possesses a large arsenal of rockets and missiles capable of striking deep inside Israel. The territory is home to other Palestinian militant groups, including Islamic Jihad, an Iranian-backed armed organization that also has a formidable rocket arsenal. The outburst comes at a sensitive time for both sides. Israel is holding national elections in 15 days. Netanyahu, who also served as defence minister, is locked in a tight fight for re-election and has faced heavy criticism from his opponents for what they say has been an ineffective response to Gaza militants. 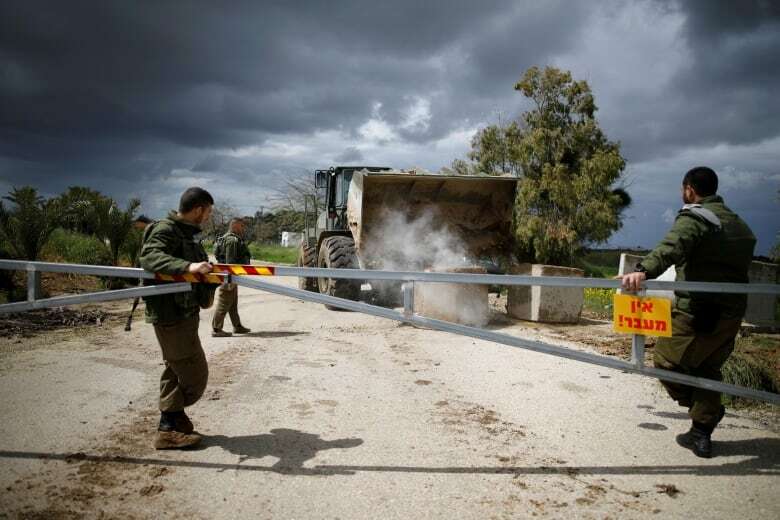 Instead of a full-fledged conflict, Hamas has tried to end the blockade through a violent weekly protest movement along the Israel-Gaza border fence that it launched a year ago. It too has largely failed. At least 190 Palestinians and an Israeli soldier have been killed during the weekly rallies. Egypt, Qatar and United Nations are trying to broker a long-term truce between Israel and Hamas but that effort has yet to bring about an agreement. At the same time, there has been an uptick in violence in the West Bank over the past week, with a stabbing and shooting attack that left two Israelis dead near a West Bank settlement and Israel’s killing of two Palestinians it said attacked troops. Netanyahu had planned to address the AIPAC conference in Washington as well as holding meetings with U.S. congressional leaders. Trump’s proclamation on Monday reversed more than a half-century of U.S. policy. Israel captured the Golan from Syria in the 1967 Mideast war, but its sovereignty over the territory is not recognized by the international community.